Published by The Gray Center for Social Learning and Understanding, net proceeds from the sale of this cookbook will go to support this non-profit organization's programming benefiting persons with autistic spectrum disorders (ASD) and those who work on their behalf. There are over 80 delicious, kid-approved recipes contained in a practical, easy-to-use three-ring binder. Easy-to-follow recipes are available for making gfcf snacks, cookies, birthday cakes, desserts, salads, casseroles, pizza, and both yeast and quick breads. In addition, the introduction contains general information about the gfcf diet, tips for implementing the diet, and recommendations for manufactured gfcf products, such as pretzels, ice cream, soups and sauces, and cereal. The purpose of this cookbook is to provide an easy starting point for those interested in implementing a gfcf diet. However, it should also provide delicious alternative recipes even for those who have been "doing the diet" for a long time! Only $14.95 (US) each, these cookbooks would make a great gift for someone interested in the diet...or treat yourself! The recipe for Molasses Bran Muffins should include 3/4 cup applesauce. I apologize for any confusion that this may cause. Vinyl cover: Cleans quickly and easily with a damp cloth. 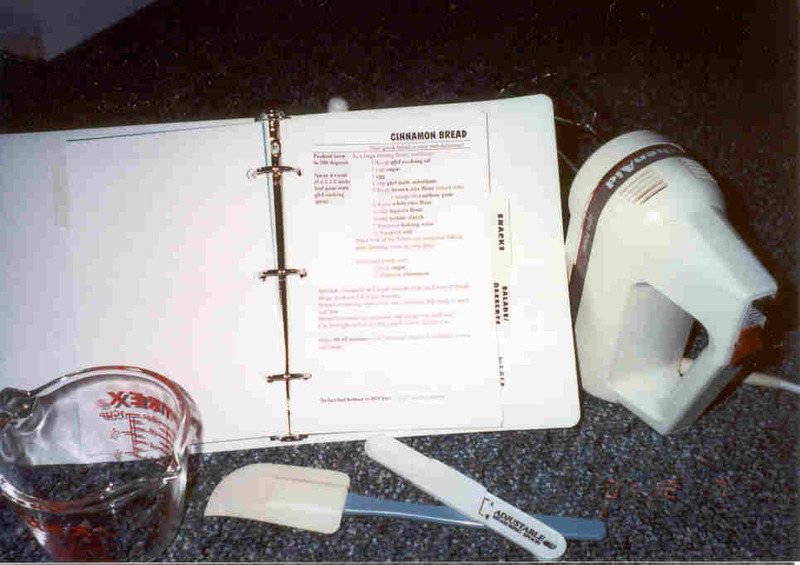 Three-ring binder: Move or add recipes, laminate your favorites; stays open during use. One recipe per page: Room to add notes, changes, or new adaptations. Easy-to-follow instructions and lists of necessary ingredients: Anyone can prepare these recipes...even those who have never liked to cook! Recipes kid(and adult)-tested and approved: Each of these recipes constitutes the diet that we follow in our home. Each one was determined by my family to be "cookbook worthy." **Remember also that net proceeds from the sale of this cookbook will go to support programming for those with autistic spectrum disorders (ASD) through The Gray Center for Social Learning and Understanding.